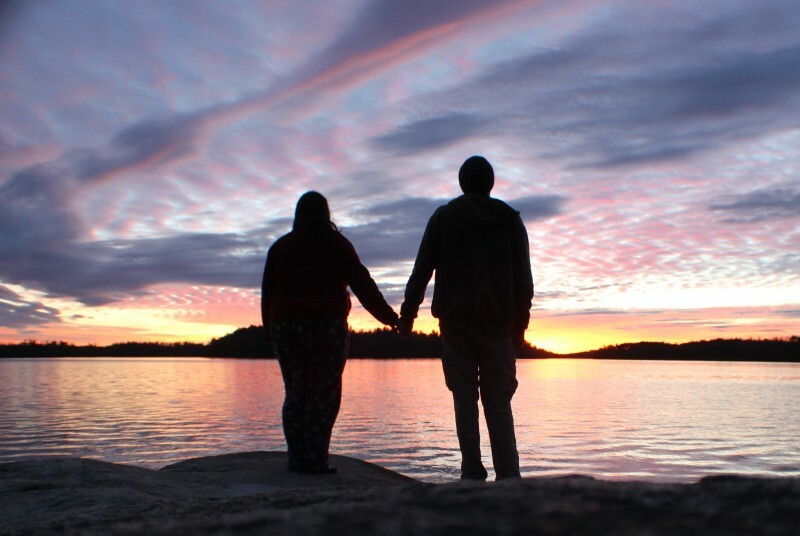 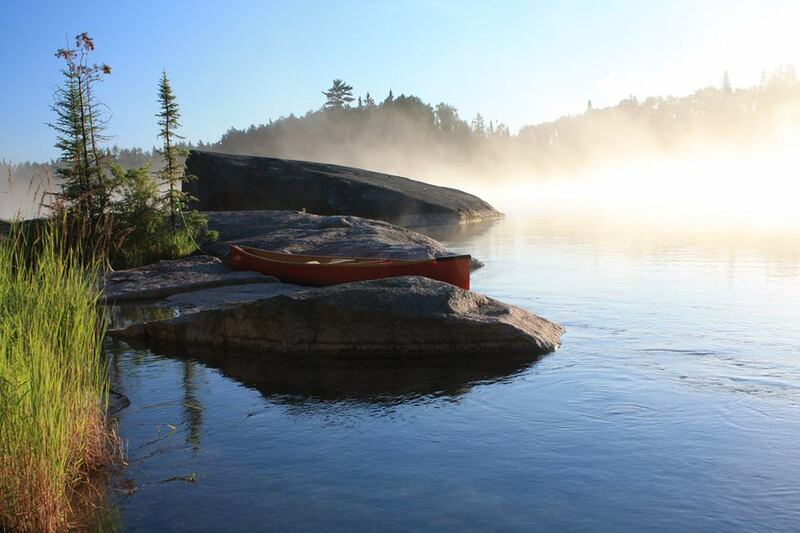 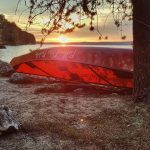 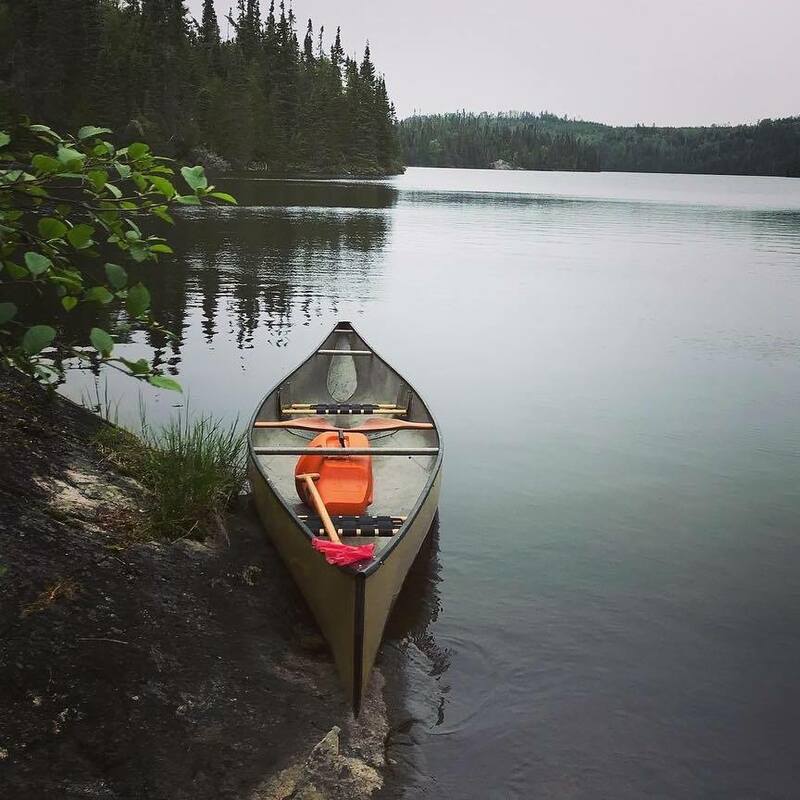 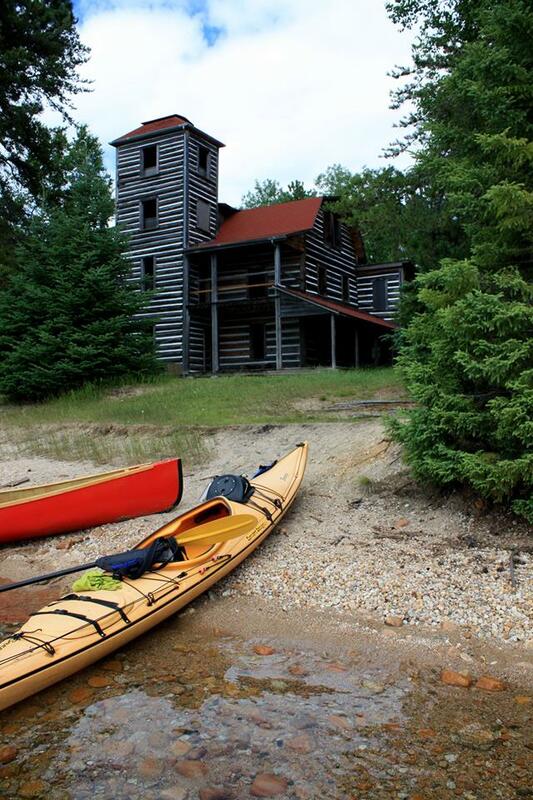 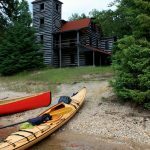 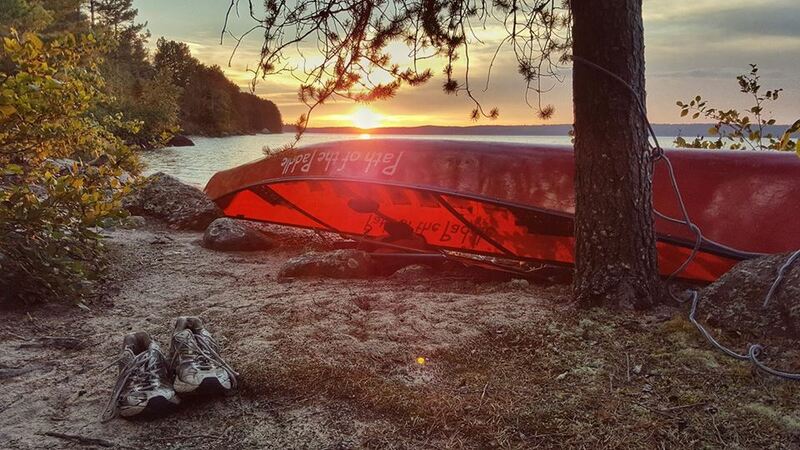 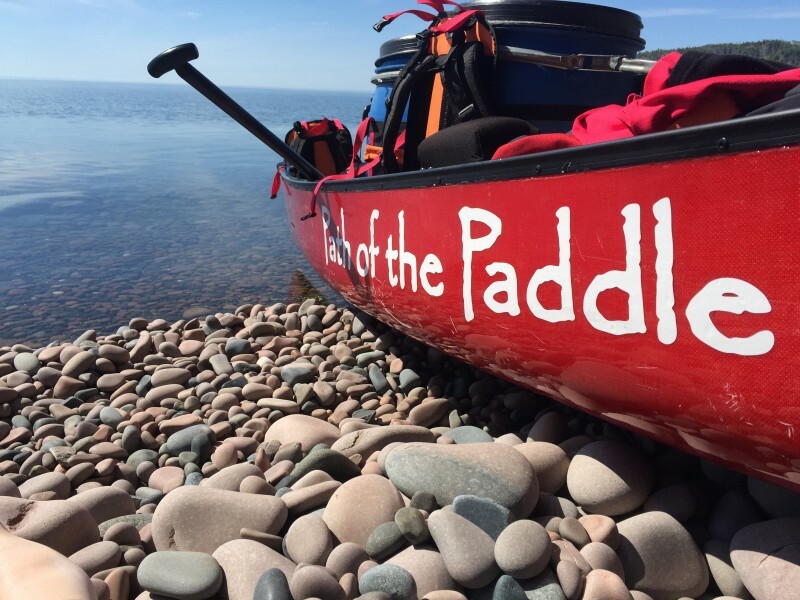 The Path of the Paddle is a 1,200km water trail for canoes and kayaks from Manitoba to Thunder Bay that passes through the Heart of the Continent. 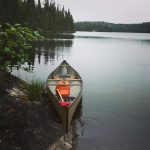 This water trail has paddlers traverse the waters of Lake Superior before heading inland via the Grand Portage to the Pigeon River and La Verendrye Provincial Park, traveling further to Gunflint Lake and Cache Bay before heading north through Quetico Provincial Park to Atikokan then Turtle River Provincial Park, Dryden, Rushing River Provincial Park and Kenora before heading down the Winnipeg River to Whiteshell Provincial Park. 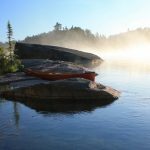 All of these parks have fantastic wilderness canoeing but what’s unique about the entire Path of the Paddle is the weaving of wilderness and community and the extension of a network of portages and campsites so that paddlers can head out for the day, weekend or paddle the whole trail. 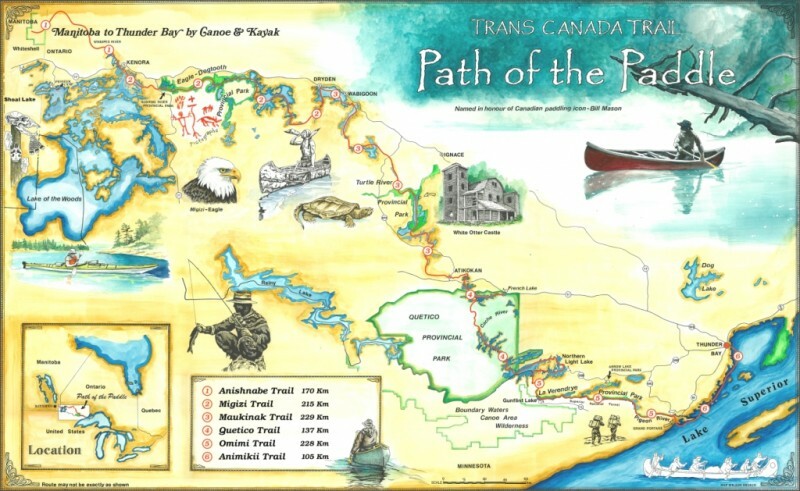 This 1,200km water trail is part of the Trans Canada Trail (TCT), the world’s largest trail, providing opportunity for human powered travel (hike, bike, ski, paddle) from sea to sea to sea across Canada, connecting 24,000km. 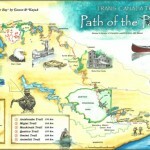 The Path of the Paddle, along with the entire TCT are slated to be complete by 2017.